A climbing staircase leading to nowhere with a sitting man appearing to be lost in thought, the Seletti Verso Lamp is a contemporary table lamp caught in a moment. 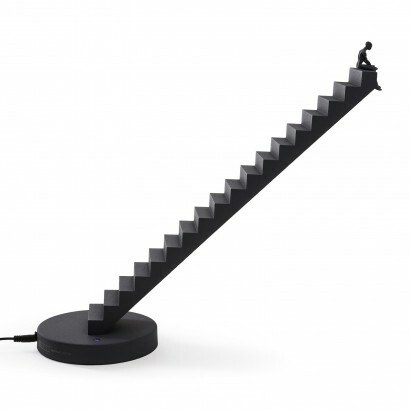 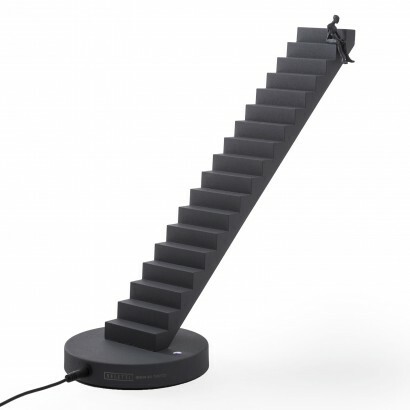 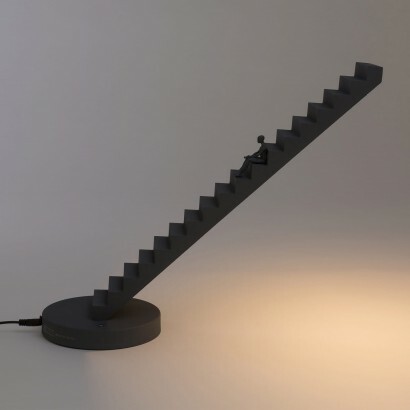 Designed by Italian designer Gio Tirotto, this adjustable table lamp features a magnetic moveable man that can be positioned on the steps, whether he sits at the bottom of the staircase with a climb ahead, halfway up caught in limbo in a moment of thought, or at the top of the stairs staring out into the unknown, the man lends emotion to this otherwise architectural lamp. 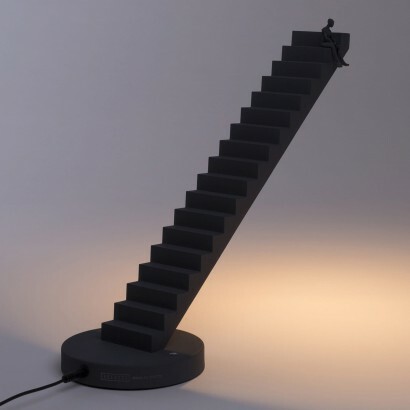 Made from an aluminium and metal mix, the deep grey antracite shade gives a beautiful contemporary feel to the lamp that shines with a play of light and shadow when lit, drawing the edge of the steps for stunning contrast, and the rotating base allows you to position the light for maximum visual and practical effect. 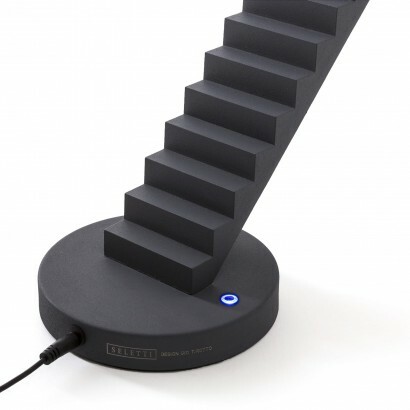 With a touch sensor dimmer function, this stylish lamp illuminates across the width of the underside of the staircase throwing warm white light onto desk tops and table tops for super stylish illumination.